Searching for that new or used car that checks all of your boxes at a price you’ll love? Then you’ve come to the right place. 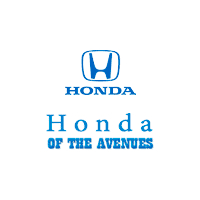 Here at Honda of the Avenues, we want all of our customers to drive home happy, knowing that they got the vehicle they wanted for a price that works for them. Of course, everyone wants to save money, so if you’re one of many looking for a good deal, we have great news for you. Keep reading to learn more about how to get a good deal on a car. The first part of getting a good deal on a new or used car is knowing what you want in a vehicle. By narrowing down the manufacturer, style and even specific features that you’d like to see, you can be more confident before you even come into the dealership. Knowing what you want in a vehicle will make the entire process easier and enables you to do research beforehand about how much your ideal vehicle will cost. Being armed with the knowledge of how much the car you want is worth, your current credit score, a pre-approved financing offer, and even an estimate of your trade-in value from Kelley Blue Book (if you have one) will make you ready to negotiate for that good deal you’re looking for. Plus, if you’re searching for a new car, we’re proud to offer many incentives that will bring the price down even more! Weekends and nights are the busiest times for dealerships for obvious reasons—most people looking for a car have a 9-5 job Monday through Friday. When you visit our dealership during “off hours,” you’re ensuring that you won’t have to wait in line, have more time to browse and won’t be competing with as many customers for the good deals. When you trade in your current vehicle for a new car (or a car that’s new to you), you’ll see instant savings on that car that you want. By using the money from your trade-in to purchase your next vehicle, you’ll be getting a better deal on a new or used car. If you’re interested in finding a good deal on one of our vehicles or you’d like to learn more about our financing programs, contact us now, or stop by our dealership at 11333 Philips Hwy, Jacksonville, FL 32256 for a test-drive. We look forward to serving customers from Marietta, Acworth and the Greater Atlanta Area.